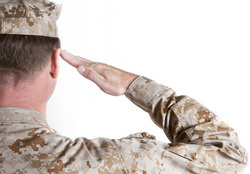 Fair Advisors salutes our men and women in uniform, and we are here to help! We have a custom designed course just for military families. Please contact Carol Fabbri for more information. A recent study commissioned by First Command Financial Services, Inc., and First Command Educational Foundation reveal that being financially literate increases emotional well-being and financial security for military families. Completing a financial literacy programe allows military service people and their families to be confident about retiring, comfortable dealing with money issues, and boosts feelings of stability.